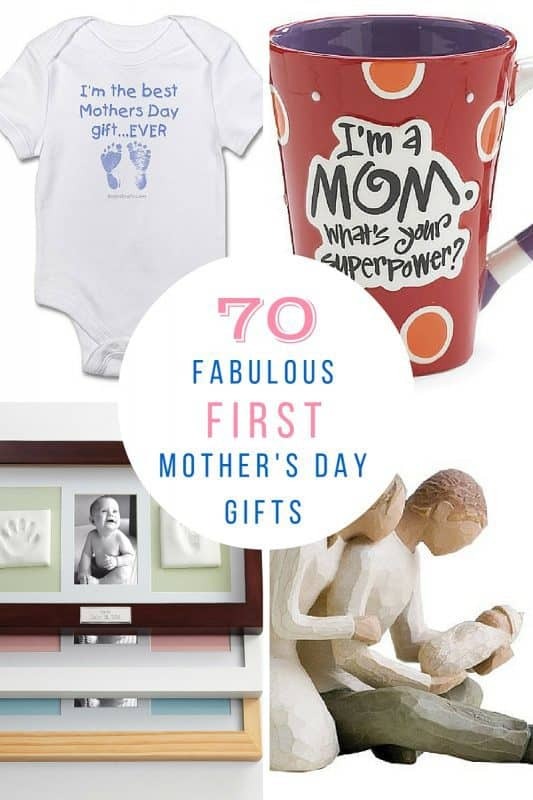 First Mother's Day Gifts: 50 Best Gift Ideas for First Mothers Day! 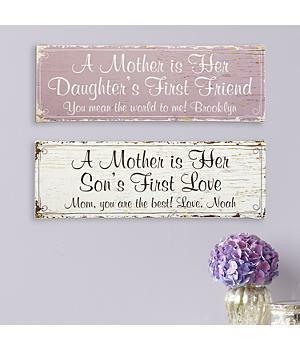 The first Mother’s Day is a special time in any mom’s life. 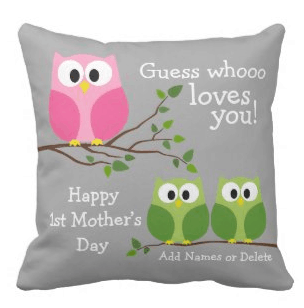 Thrill the new mom with one of our delightful First Mother’s Day gifts. 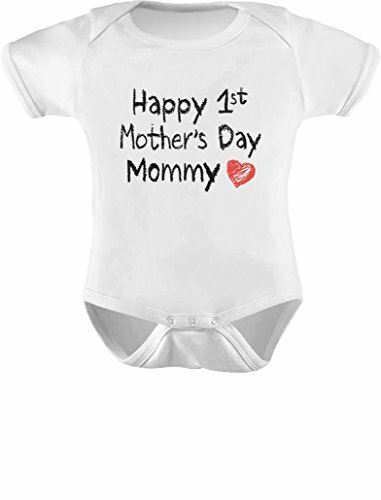 A new mom’s first Mother’s Day is one to be remembered. 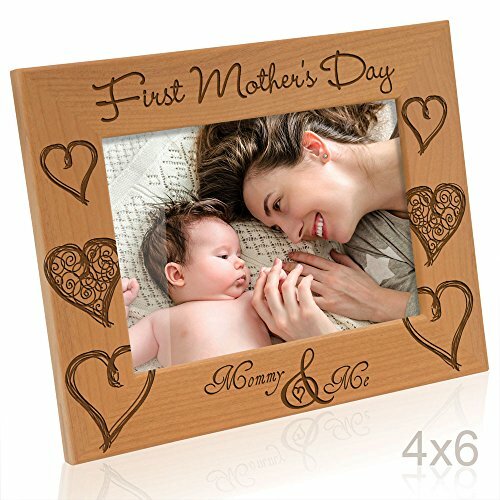 Help your loved one preserve this special memory with a personalized 1st Mother’s Day photo frame. 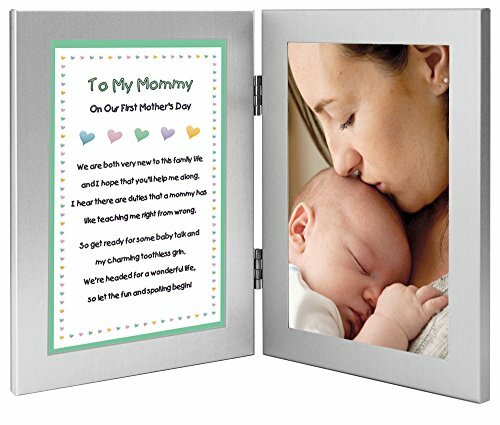 You can personalize the top of the frame with any message such as “First Mother’s Day” along with 2 lines of words at the bottom. 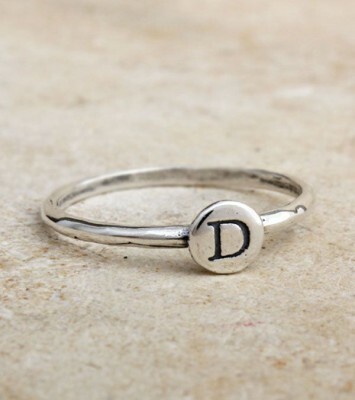 Repeat after me: jewelry is always appropriate for any occasion! 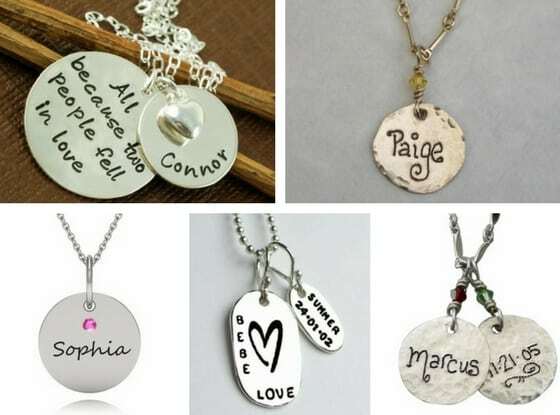 My top choice for new mom necklaces is BlissLiving. 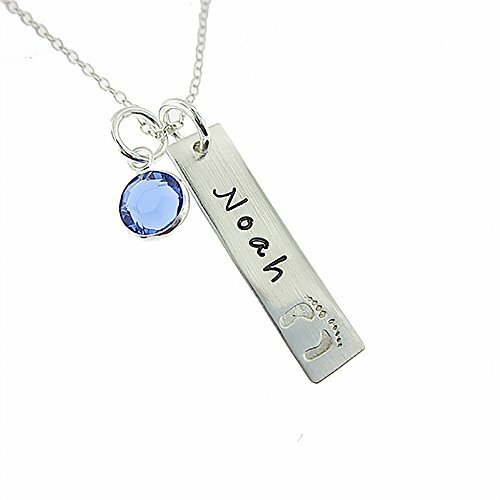 They have an amazing selection of necklaces that are sure to delight any new mom. 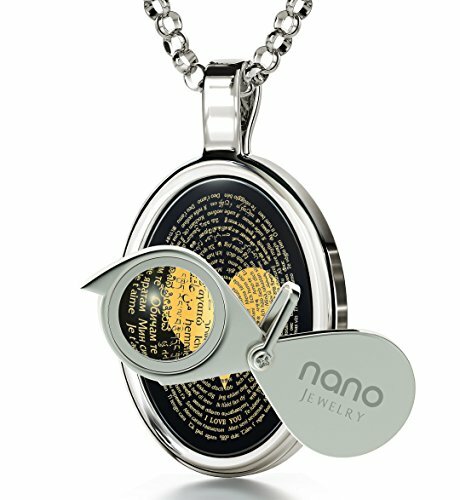 Their selection includes both sterling silver and gold pendants in a variety of prices. 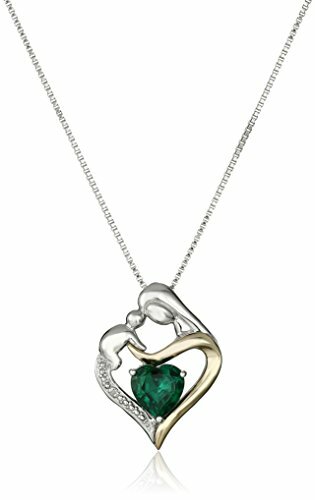 You can add birthstones to many of the pendants, or order without if you prefer a simpler look. 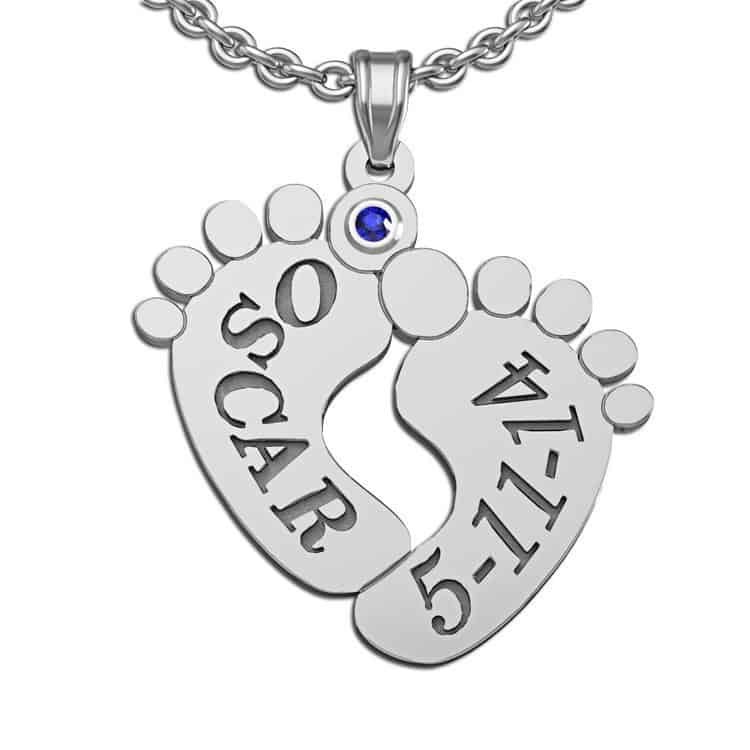 You can also order additional charms for many of the pendants – just in case there’s a second baby in the new mom’s future! Today is a day of relaxation for the new mom, which means it’s up to Dad to do diaper duty and dress the baby. 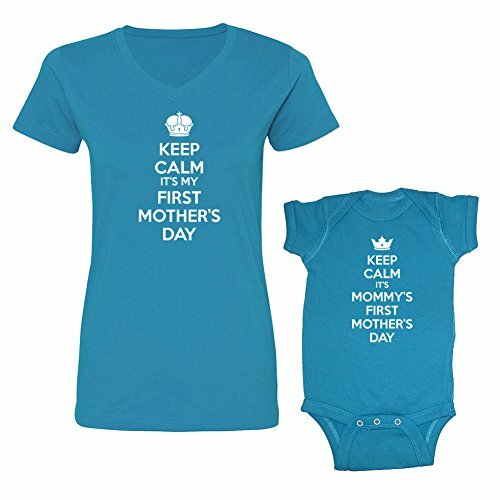 Have baby greet Mom in one of these adorable baby onesies designed just for the first Mother’s Day! 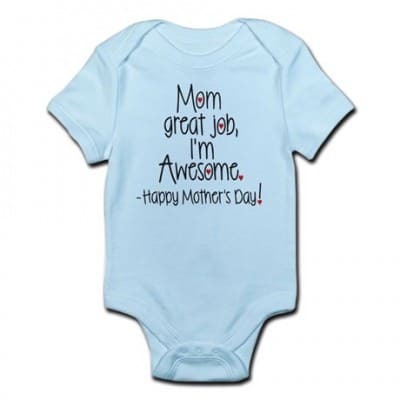 Practically guaranteed to bring a smile to Mom’s face – as well as anyone else who sees this adorable onesie! After all, what’s a holiday without new clothes? 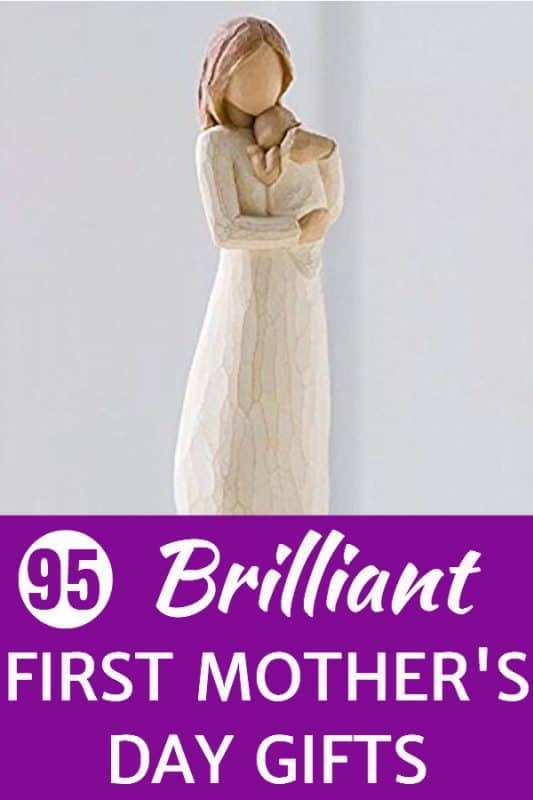 A sentimental Willow Tree figurine is a wonderful way to preserve the special memories of this special holiday! 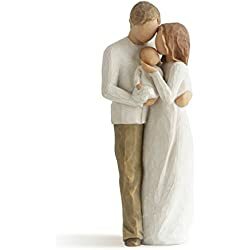 You can buy a different figurine to represent each of your children (assuming that you have more later), and your children will love seeing the figurine that represents them. 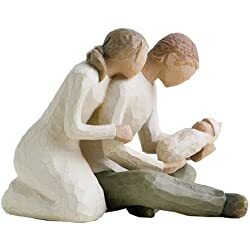 Each sculpture stands around 8″ tall, and is sturdy enough to be moved around by little hands. Don’t be surprised if you in turn receive one also – there’s a new daddy figurine as well! 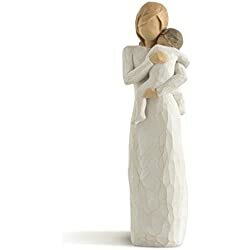 They’re a wonderful present that she will always treasure – and, if she enjoys the figurines – there are many others to choose from for other meaningful holidays. It’s hard to believe that one day those tiny hands will be grown up! 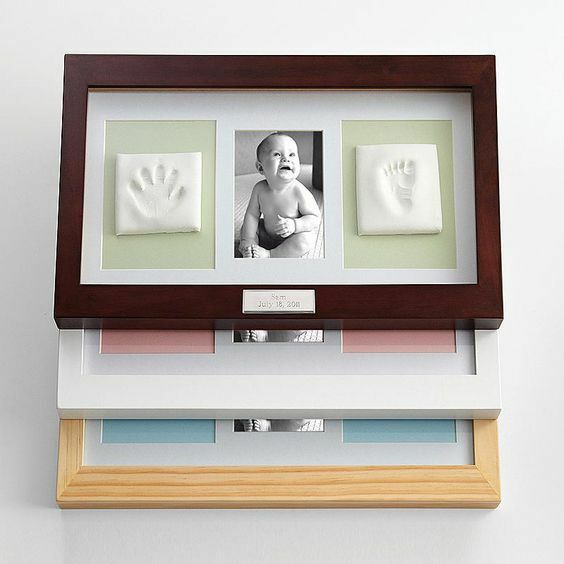 Use one of these fabulous handprint kits to help you remember how so very small those hands were. 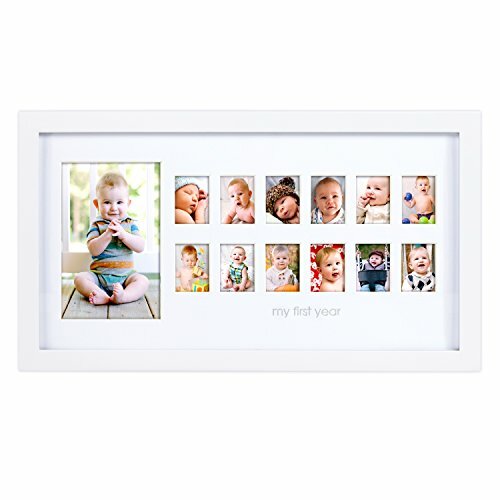 The picture frame comes in your choice of 3 colors – white, natural, or espresso. The easy-to-use kit doesn’t require any mixing or baking – and won’t leave baby’s hands and feet all sticky! 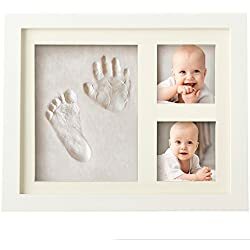 Simply knead the air-drying clay, flatten it, and press your baby’s hand or foot into the clay to get a perfect impression. 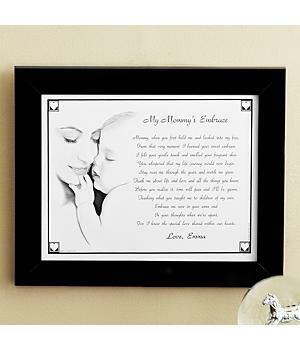 If possible, try to get the prints when the baby is feeding or sleeping so that there’s less wiggling. Noticing a trend here? 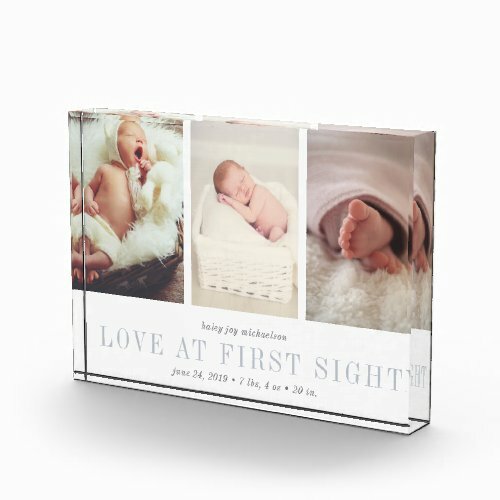 Photo gifts are super-popular! 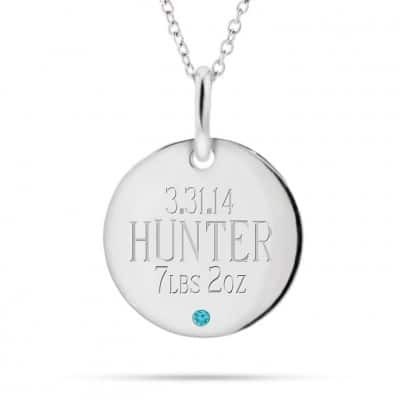 On a new mom’s 1st Mother’s Day, you can’t go wrong with a gift that spotlights her baby’s darling face. 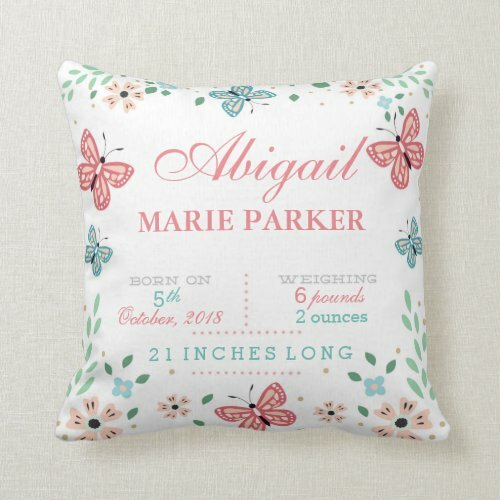 You probably have loads of baby pictures on your phone, so why not take a few minutes and create a gorgeous gift that features some of your favorites? 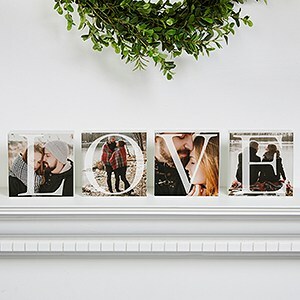 Choose a gift that highlights just one photo, such as the lucite photo block on the right, or a collage that shows off multiple pictures. 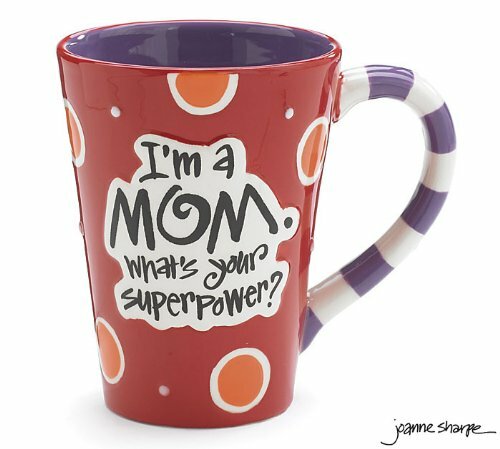 After long hours and sleepless nights, it takes a lot of caffeine to keep the new Mom going! 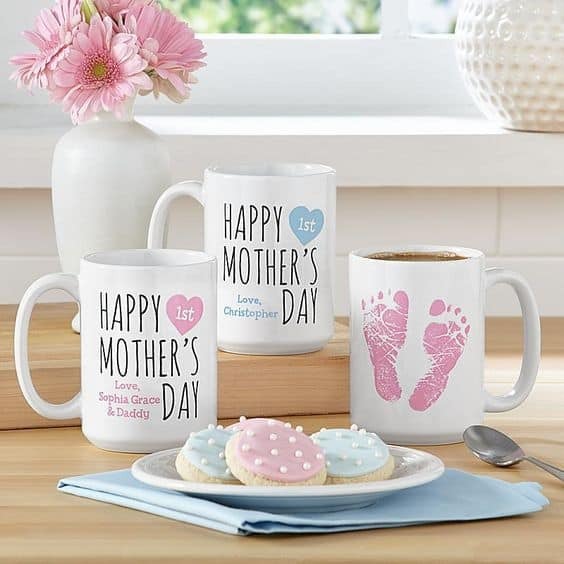 Greet Mommy on her first Mother’s Day with a cup of her favorite beverage served in a special mug, like the one on the left. 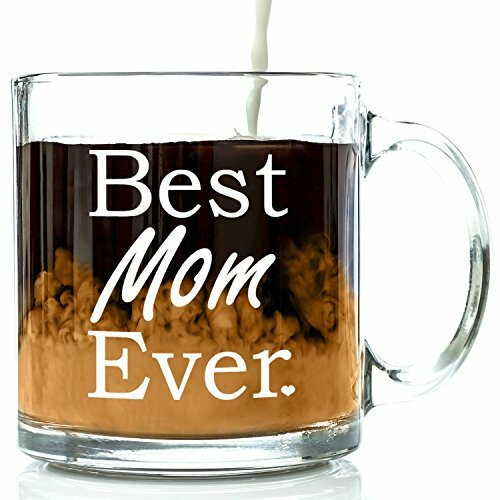 The perfect little addition to her breakfast in bed tray! 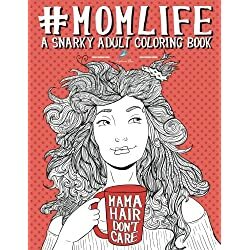 Let’s face it – you really need a sense of humor to get through pregnancy and that first year of parenthood! 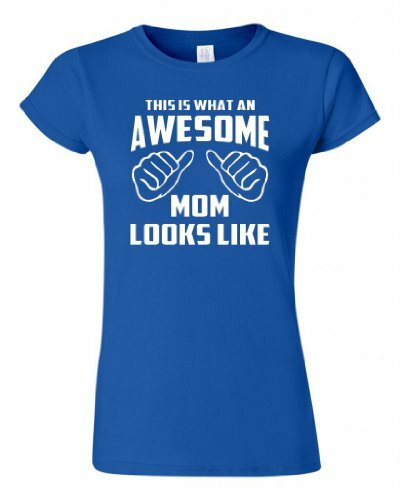 Make the new mom smile with a humorous gift. 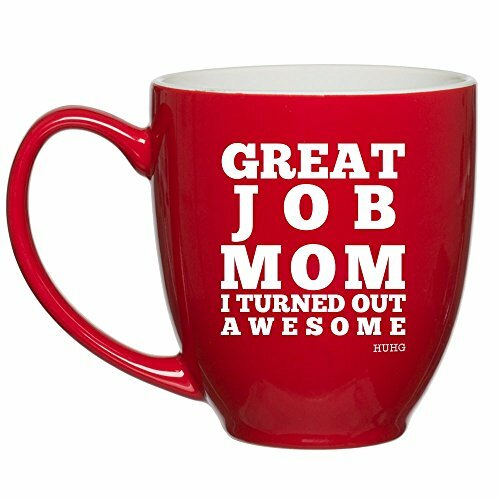 You’ll love watching the new mom’s face when she unwraps this funny PRANK gift box on Mother’s Day…be sure to have your phone ready to tape her reaction! Click through to read the comments…they’re hilarious! 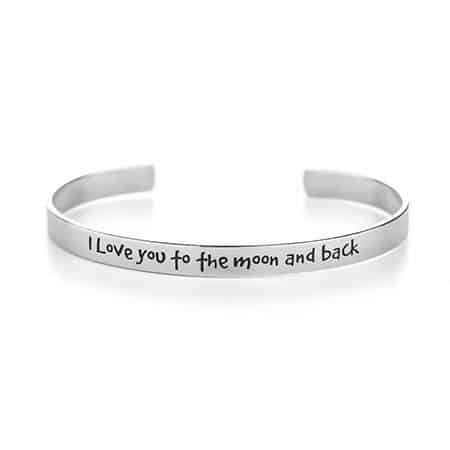 The sweet “I love you to the moon and back” saying is the perfect expression of a mother’s love for her child, or a husband’s love for his wife. 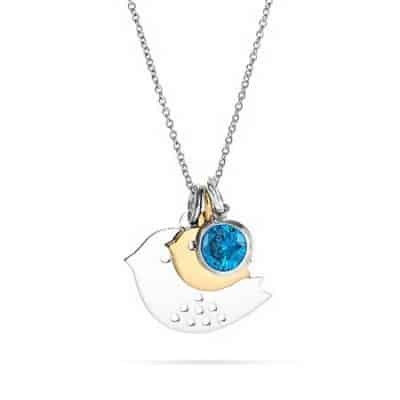 This darling necklace (which is available in sterling silver, gold or rose gold) is a wonderful first Mother’s Day gift from either Dad or the baby (or both)! 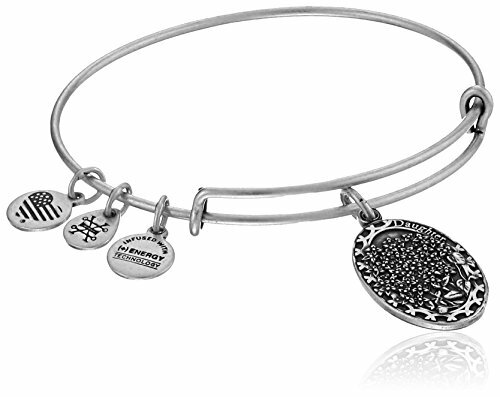 Personalize the back of the heart charm with the baby’s name or other loving message. 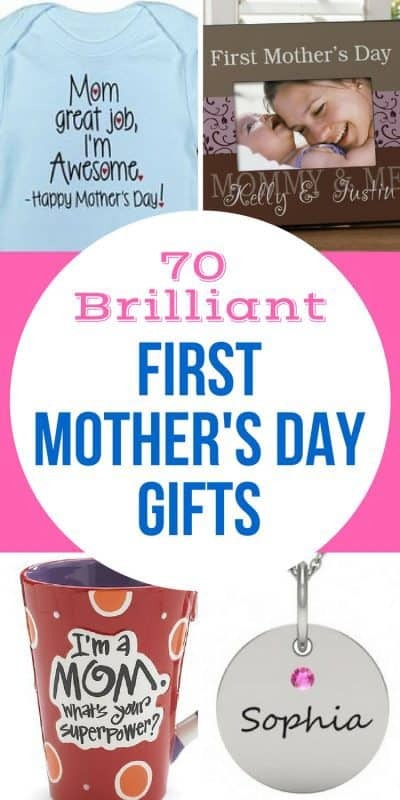 As a new dad, one of the things you probably discovered this year is that you’re in charge of procuring all the Mother’s Day gifts for your wife. No matter how brilliant your baby is, he or she probably isn’t up to making or picking out gifts this year. 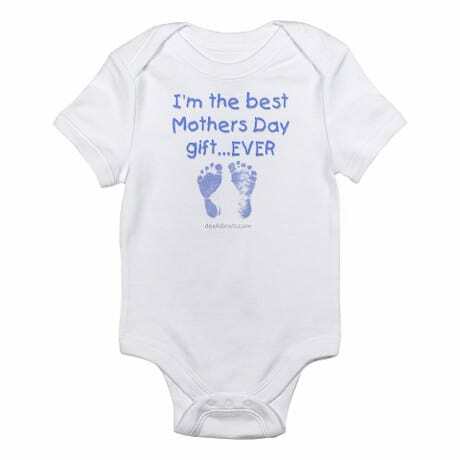 So obviously all the gifts from baby are really from you (and of course, Mom knows that). 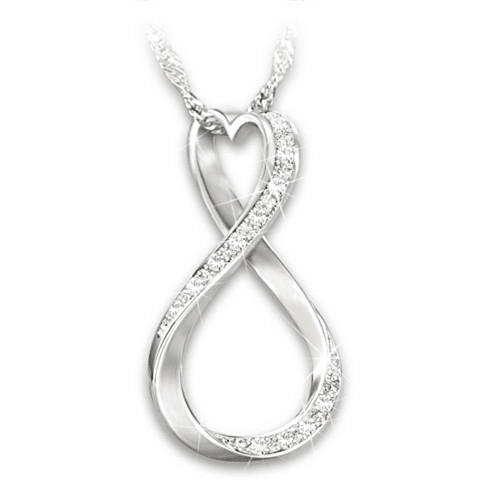 But if you’d like to go that extra step on this special day, you could also give her a gift especially from you. 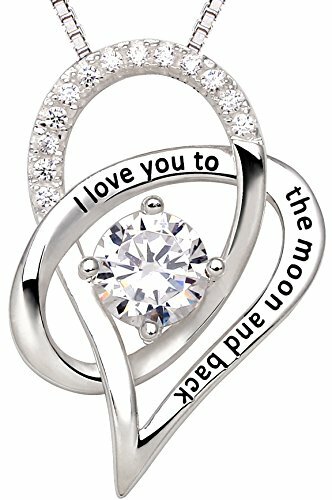 You may want to go with a romantic gift that lets your wife know how much you love her. 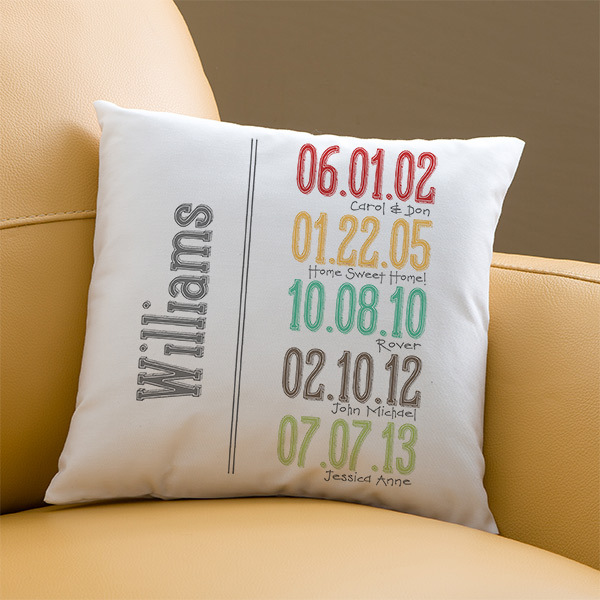 Or you could go with a gift that honors both your relationship as a couple and as a family, like this beautiful Milestone Dates pillow above that can be personalized with all the important dates in your family. 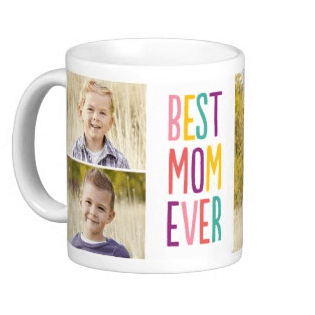 For a gift she is sure to use and appreciate every day, give the new mommy you love a customized phone case featuring her favorite photos. 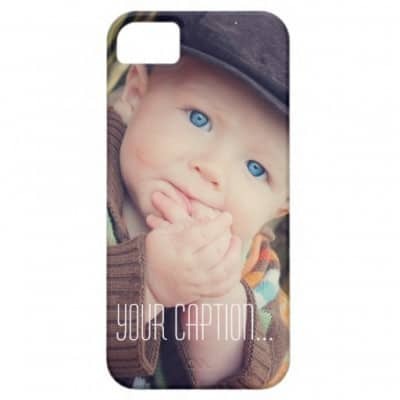 Find trendy designs for iPhone and Samsung Galaxy phones at Zazzle – they have over 200 highly-rated designs that you can personalize with photos and messages. As she communicates with others throughout the day, she can stay connected to those closest to her heart with a quick look at her phone. 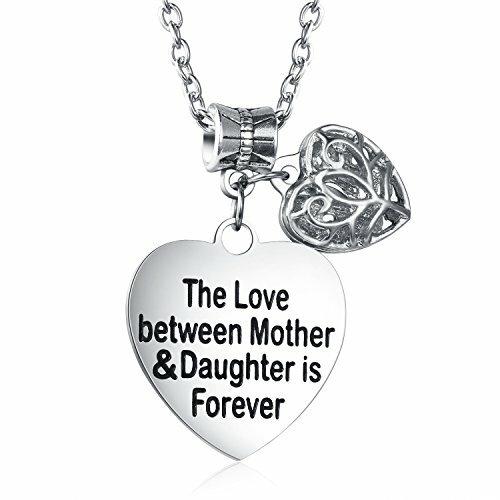 Mom will want to remember her special day forever, and a keepsake gift will always be a reminder of this wonderful day. 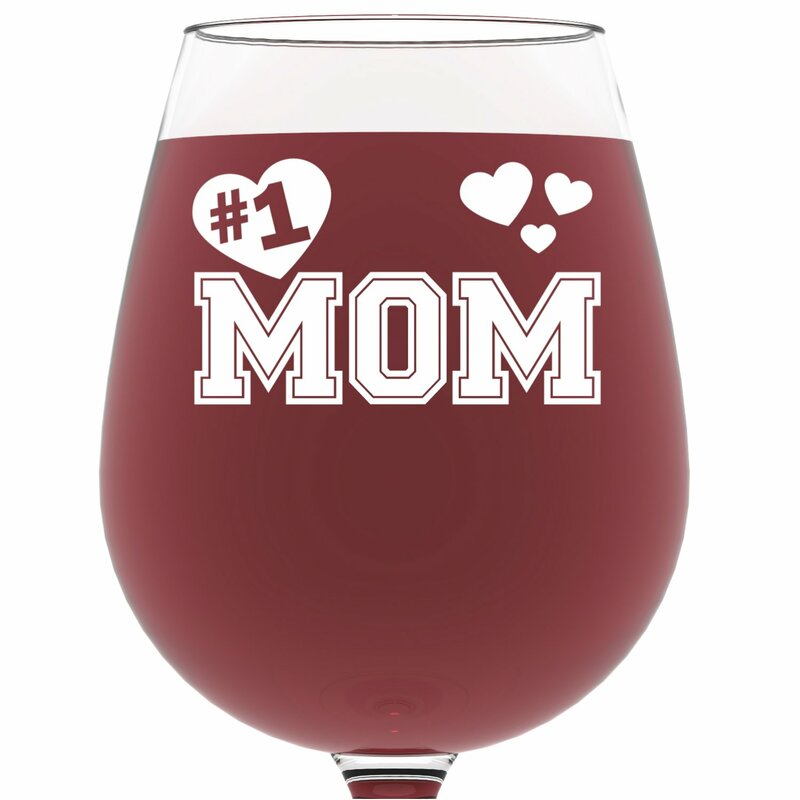 To a mom, there are no sweeter words than “I love you, Mommy”. 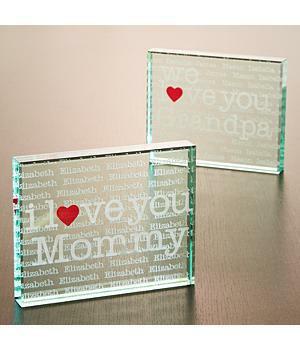 Preserve that precious phrase for Mom to display proudly on this stunning glass keepsake. 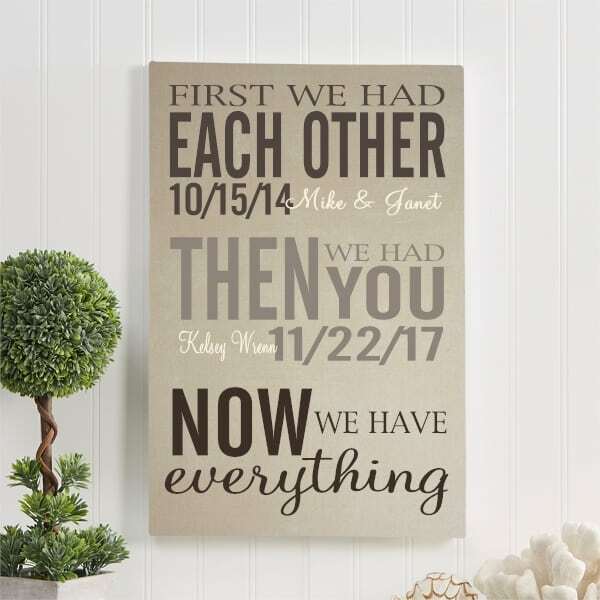 The baby’s name is etched in repeating fashion for a unique personal touch. 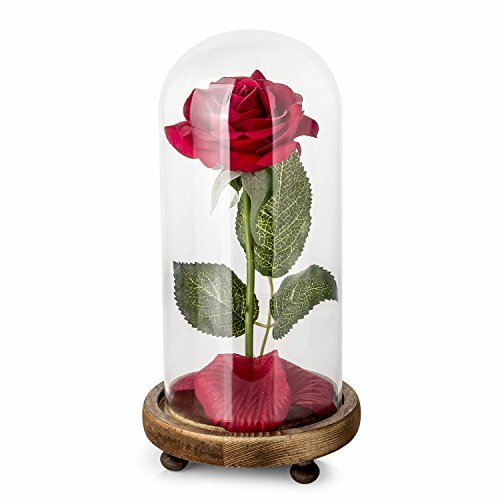 In just a couple of years, the baby will be old enough to pick some flowers or dandelions and create a beautiful bouquet just for Mommy. This year, though, it’s up to Dad to provide the flowers. 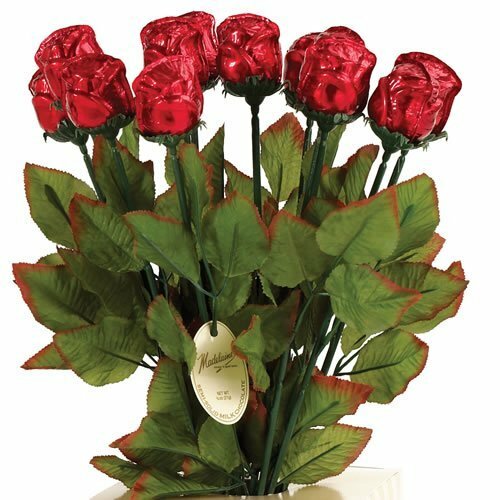 Don’t pay a fortune to get a bouquet delivered from a floral service! 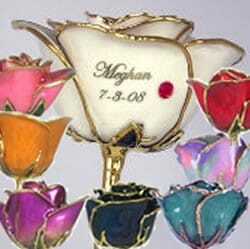 Most bouquets come in forgettable, drab vases. 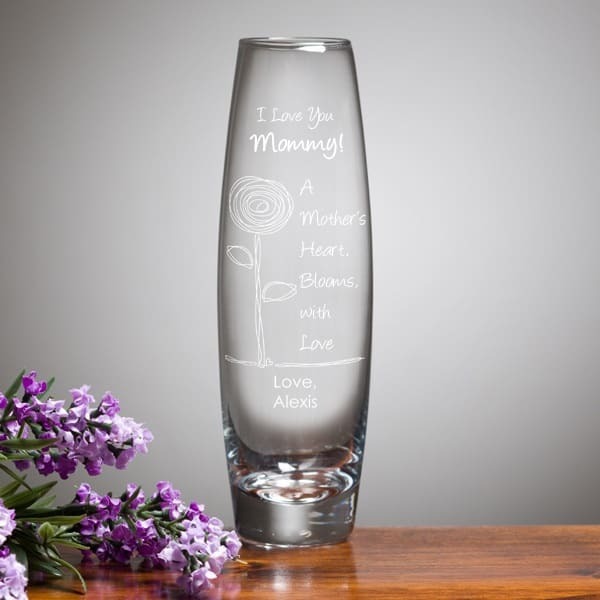 Start a beloved tradition by ordering a personalized vase that in itself will be a present that she will always treasure! 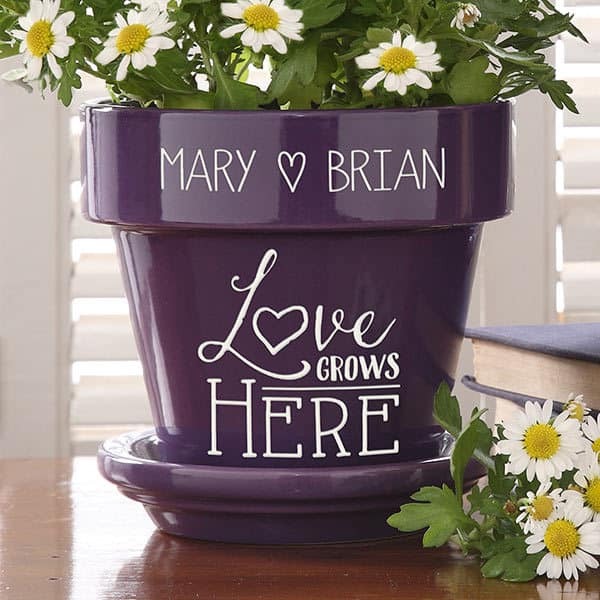 Add her favorite bud (rose, daisy, daffodil) from your garden or your local grocery store and you’ve created a lasting present that will be cherished for years. Perfect size to fit on her breakfast tray! 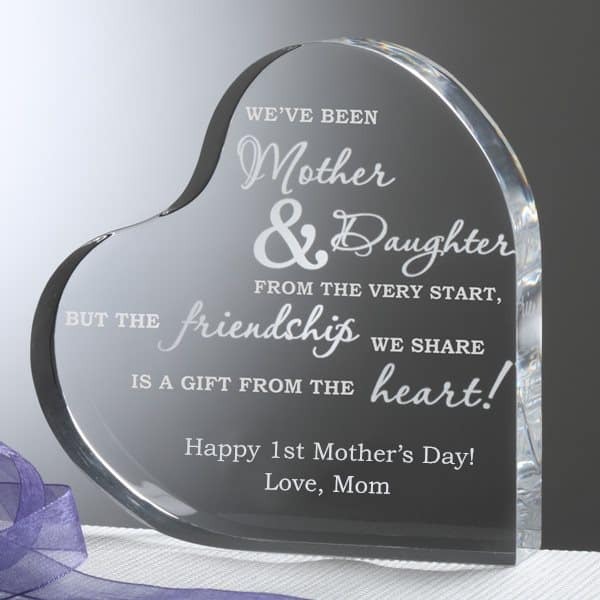 Most daughters become closer to their own moms once they have their first baby. 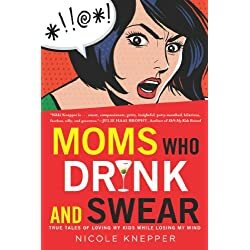 (Which is great, because as a mom, how often did you think, “Just wait until you have kids” when your daughter was growing up)? 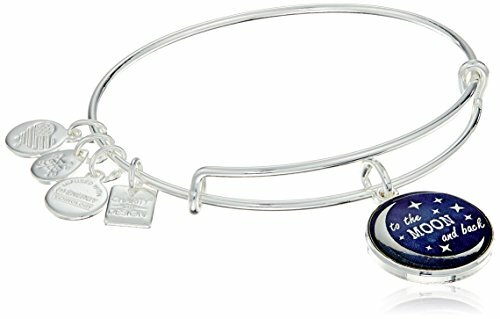 If you’d like to recognize your daughter’s 1st Mother’s Day, consider a gift that reflects that unique bond that’s only shared between the two of you. 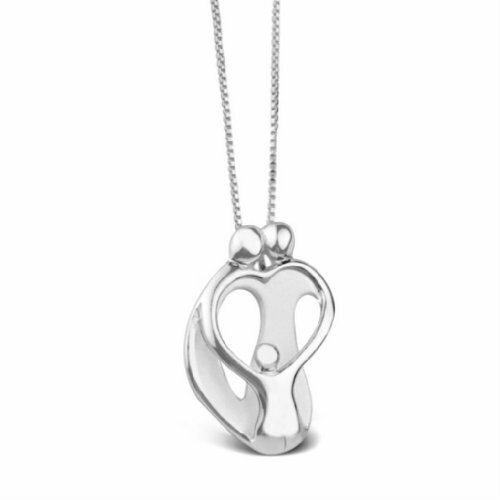 The beautiful heart-shaped keepsake above is a sweet keepsake that your daughter will always cherish. Although I’m sure mommy has loved her first few months of parenthood, chances are it’s been a bit stressful. 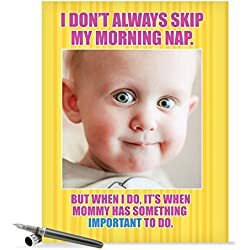 Along with all the proud, fun, amazing moments of motherhood come the sleepless nights, the worries, and the frantic calls to the doctor. 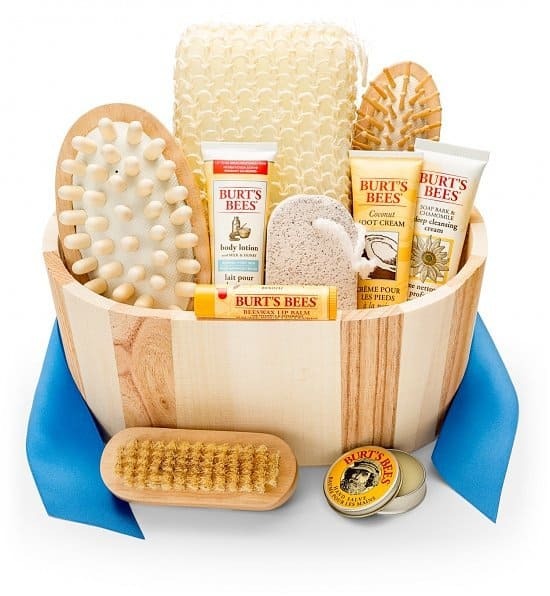 Why not give the gift of relaxation with a spa gift basket? 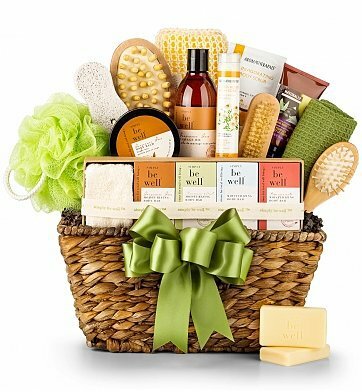 Any stressed-out mommy will surely delight in being pampered with a relaxing bath filled with all the delightful goodies from the basket. Just remember – someone (you!) 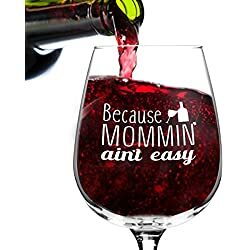 needs to watch the baby so that Mommy actually has a chance to relax! Surprise your wife with unique M&Ms mix created just for her – and for an unforgettable twist, add your baby’s photo to the M&Ms! 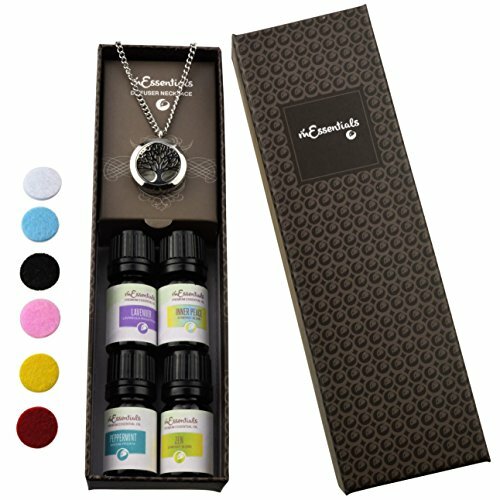 It’s a unique present that’s sure to delight any woman. The M&M site is incredibly easy to use. 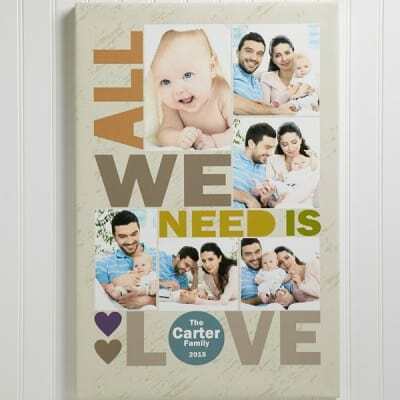 They have a fun selection of gifts, including candy dispensers, bowls, and teddy bear gifts. You’ll then choose 3 or 4 of your favorite colors of M&Ms. 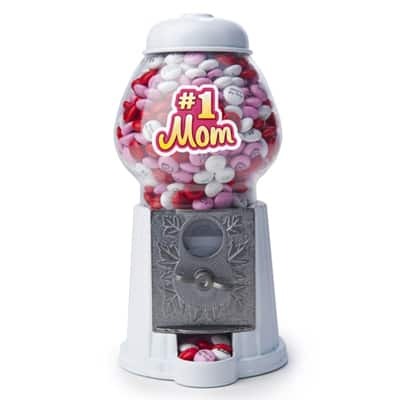 You can upload a favorite picture to some of the candies, then add clip art or custom message to the rest. It’s incredibly easy; it takes about 3 or 4 minutes if you have your picture selected. 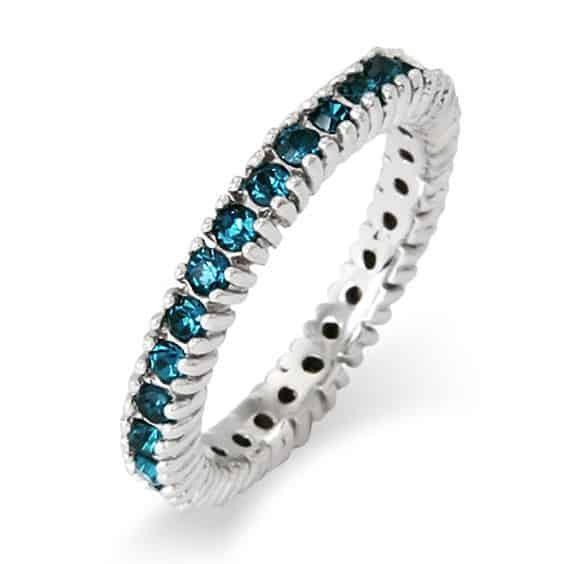 Stackable rings are one of the hottest trends in women’s jewelry this year! 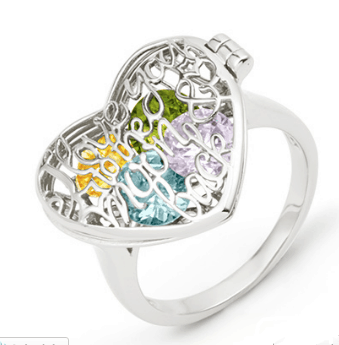 The trendy rings can either by worn by themselves, or the new mom can create her own unique look by mixing and matching them with other rings. 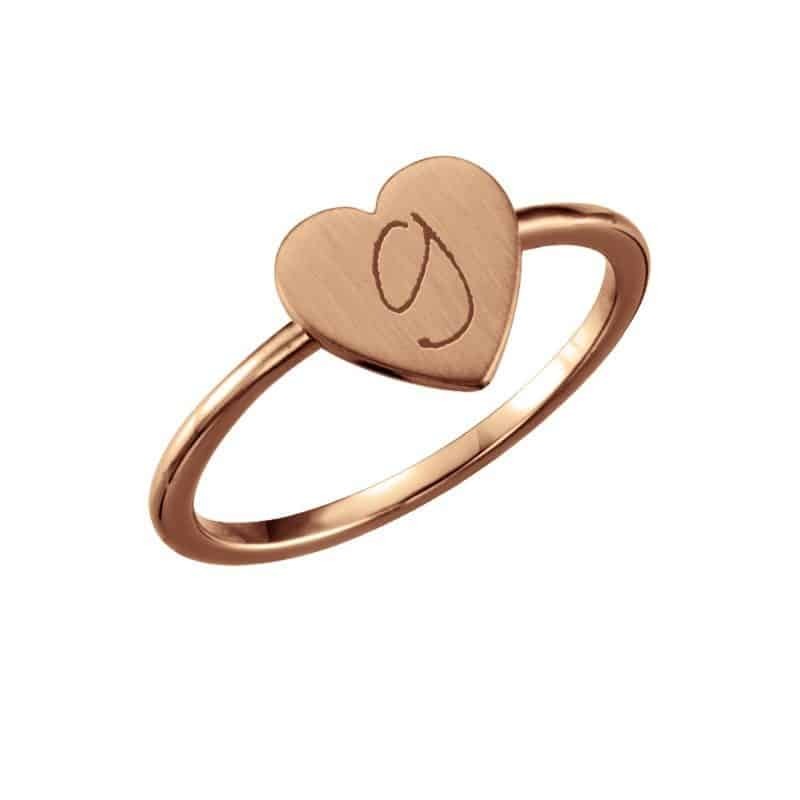 They are the perfect choice for the woman who’s planning more children, as the rings are thin enough to stack multiple rings. 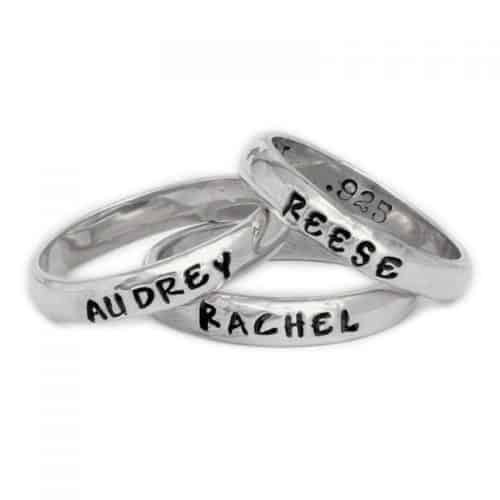 So simply order another ring when the family is blessed with another child. 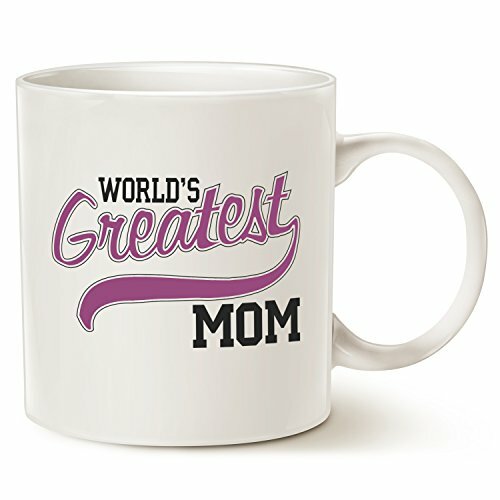 These gifts will let her know that you think she’s amazing! And trust me, you can never tell anyone that you love how wonderful they are too many times. 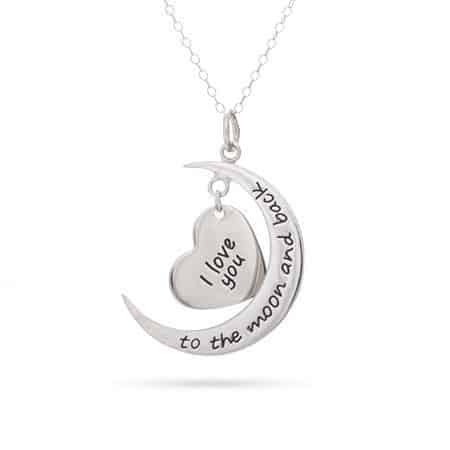 The sweet keepsake above is a thoughtful keepsake that will remind her all year around of this wonderful occasion – and of your respect for and confidence in her mothering abilities! 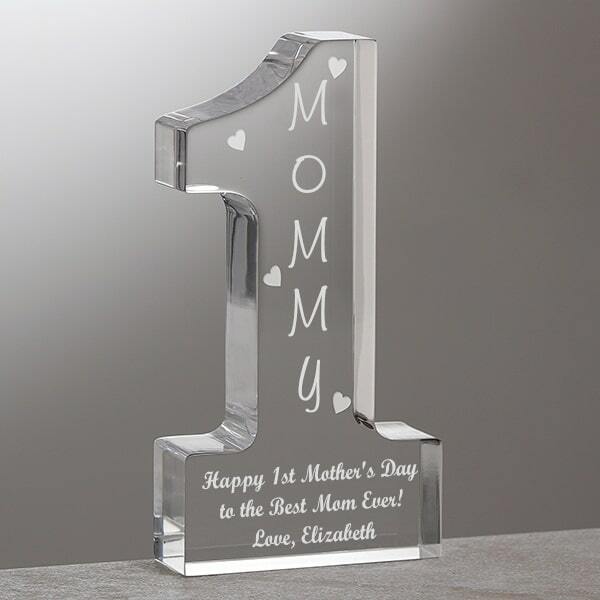 Personalize the clear Lucite statue with any name. 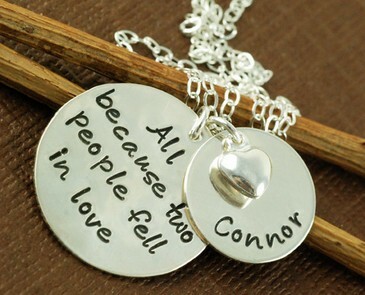 You also have 3 lines of text to add your own loving message. 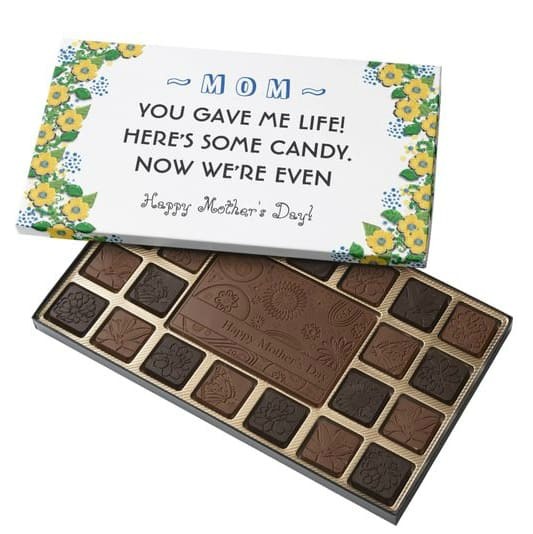 Chocolates are a time-honored Mother’s Day tradition, and the new mom with a sweet tooth is sure to look forward to a special treat! 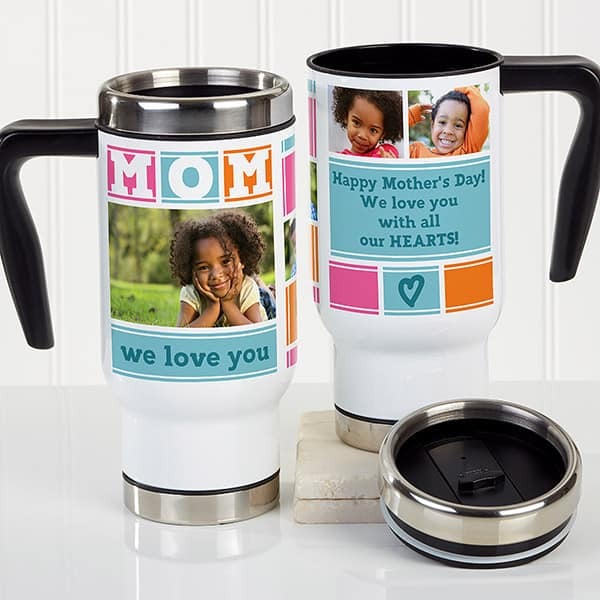 Check out the fun selection of Mother’s Day chocolates at Zazzle. Each box contains 45 pieces of elegant Belgian chocolate. 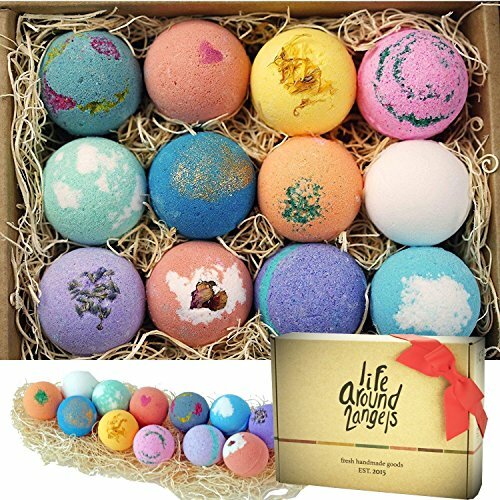 The box is what makes the gift especially memorable, though – choose from over 100 designs, including funny, sentimental or sweet. 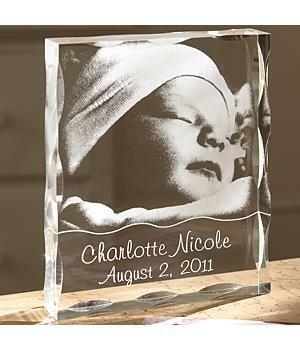 You can even add the baby’s photo to the box, or your own message. 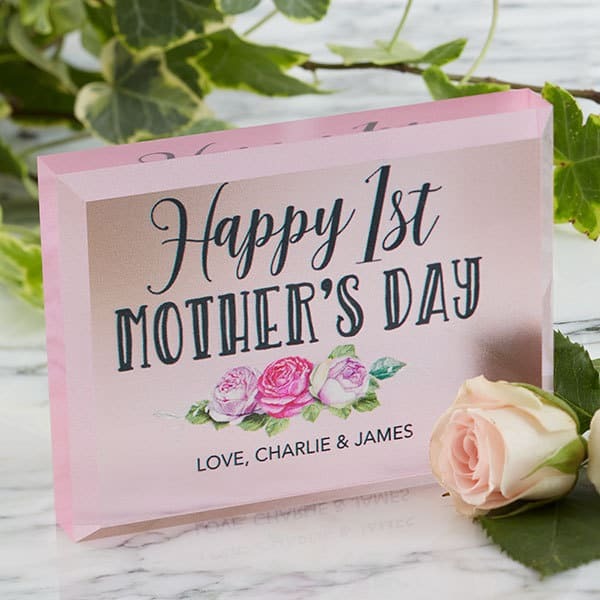 Mom can enjoy the chocolates now, and then use the beautiful box to store cards or other small treasures. 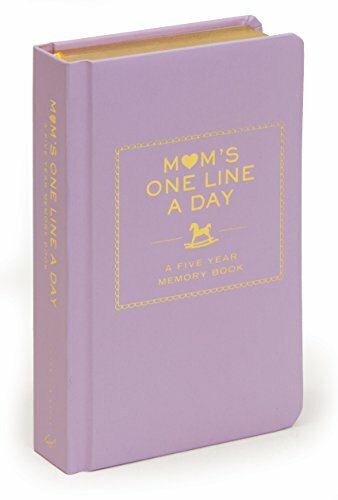 On her first Mother’s Day, any mom would love a gift that highlights the dearest details from the day that changed her life forever. 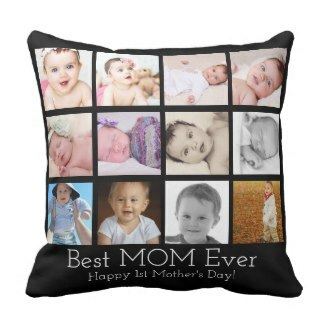 Zazzle offers a variety of throw pillows that are completely customizable to feature her new addition in a stylish way. 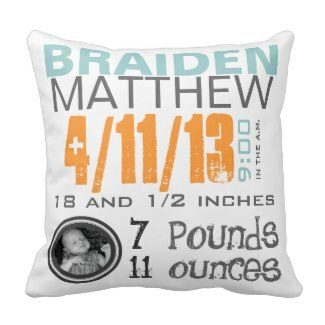 From the baby’s birth date and time of birth to their weight and length, these precious stats are gathered into one unique pillow. 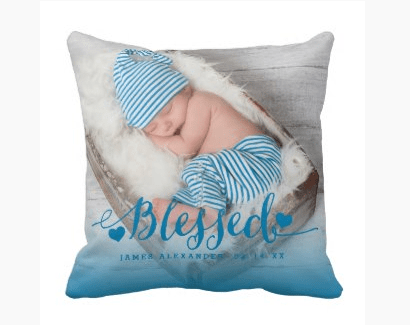 Perfect for decorating the nursery or for snuggling up with during an afternoon nap, this personalized pillow will make her smile every time she sees it. 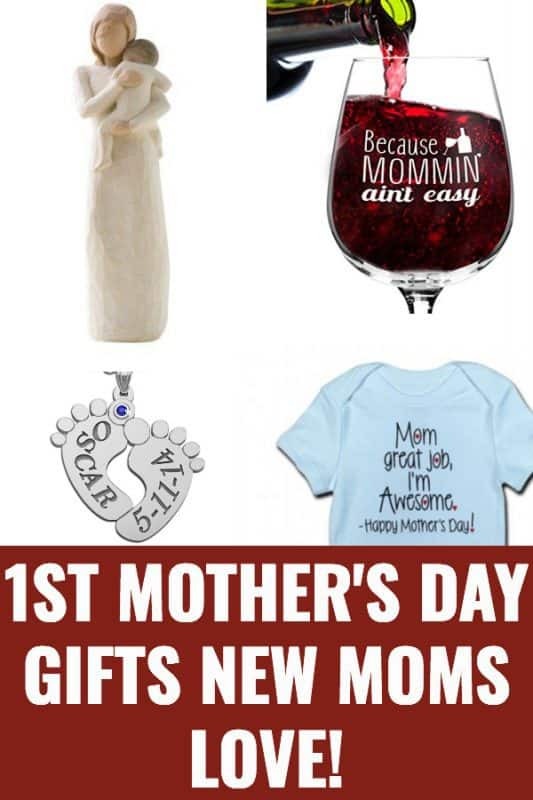 One of the things you’ll need to discuss with the new mom is how she wants to spend this special holiday. If you have family that lives nearby, then you’ll probably want to organize a get-together with the rest of the crew. 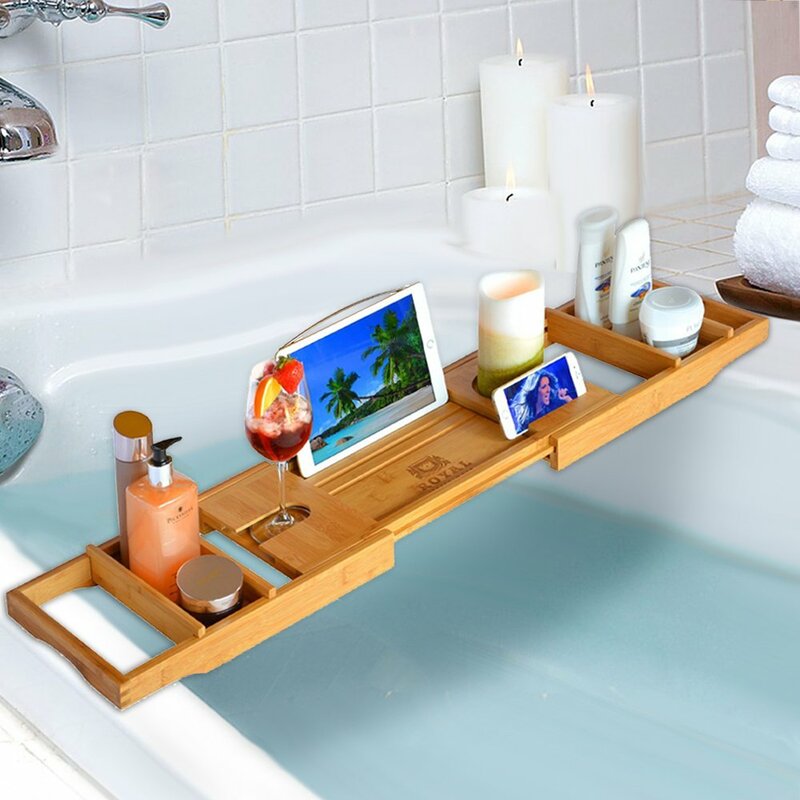 Some women consider this event a time for pampering and relaxing. If that’s the case, she might enjoy a massage, a trip to the spa, a manicure/pedicure, or a girls-only outing of some sorts. 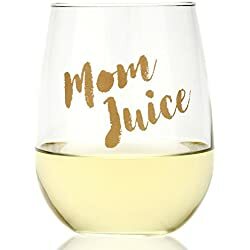 Other moms would prefer to spend the holiday with their family. To them, it’s not Mother’s Day without the whole family involved! Picnic – My whole family has always enjoyed picnics. You can go to a favorite park or to the beach or lake. It’s a great way to spend time together.You can pick up sub sandwiches to go, or pick up a feast at your favorite deli. And don’t think that picnics are only for lunch or dinner – my kids absolutely loved breakfast picnics! It’s a delightful way to enjoy the great outdoors before it gets too hot outside. 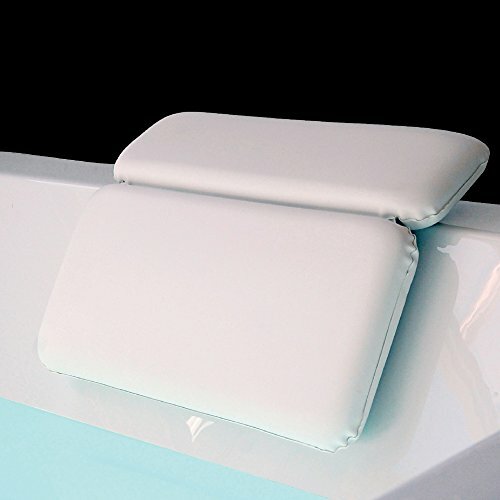 Swimming – If it’s warm enough for the pool, beach or lake, swimming is a fun family activity. 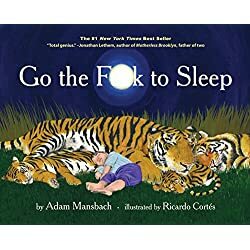 Be sure to give Mom extra time for reading while lying in the sun! Gardening – Today is a wonderful time to add a few bushes or plants to the garden. Or visit your local botanical gardens – a great place for a picnic! Baseball Game – Go check out your favorite team. 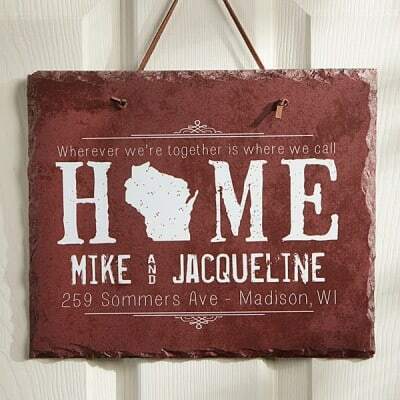 Be sure to bring along the peanuts and Cracker Jack! Zoo – An outing that the whole family will enjoy. And since it’s spring, there might even be baby animals to Oooh and Ahhhh over. Hike – Take a scenic walk along a favorite path, or try some place new.